Standard and Poor’s rating agency has downgraded Enemalta’s rating to B- from A. The Finance Ministry said that one of the main reasons the rating was lowered was the need for better arrangements on the financial stability of the corporation. According to Standard and Poor’s, Enemalta’s tariffs in the past did not reflect variations in its costs for the generation of electricity, including increases in the price of oil which were not all covered by direct government subsidies. Neither did the tariff structures reflect the capital investment by the corporation in previous years. This led to Enemalta registering big losses and unsustainable borrowing. The ministry said this problem was being addressed through the change in the tariffs mechanism, which now incorporated the costs related to electricity production and a return on capital employed, which was required for the corporation to recover its investment over a number of years. It said that Enemalta was working on a long term plan for the refinancing of its debt. This should place it on a stronger and more sustainable financial basis. A lot of work had already been carried out and the government intended to implement this plan shortly. At the same time, the corporation was updating and regularising its financial reporting. 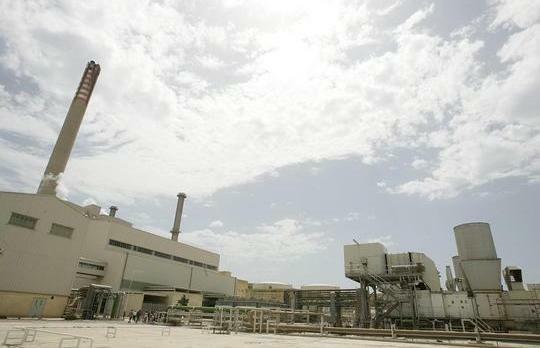 Standard and Poor’s report, the ministry said, showed that the Opposition’s proposal to remove the return on capital employed from the workings of Enemalta’s tariffs would only lead to more serious difficulties for the corporation which would make it more difficult for it to finance the much needed investment for the extension to the power station and the interconnector with Sicily. The Labour Party in a reaction said that S&P's comments confirmed what it had long been saying, about how the government was burdening consumers with 25 years of mismanagement of the corporation. The government's comments also belied the government's own statements that the water and electricity bills only reflected the increase in oil prices. It had now been confirmed that the bills also included the €500 million in debts which the Nationalist government had raked up at the corporation. Payments had not even been made yet for the building of the power station in Delimara in 1989. The statements also confirmed how right the Labour Party was to call for an adjustment of the formula on Return on Capital Employed (ROCE), which was higher than that of energy providers in other countries. The PL said it feared that this downgrade would mean heavier burdens for Enemalta which would be reflected in the bills.